Since 2007, Judi has worked with countless clients in the United States and around the World. A featured guest and host on radio, she has presented workshops on psychic development and energy healing. She is also currently working with others individually to heighten their abilities through study of the spiritual consciousness, vibrational energy channeling, ascension awareness and meditation. Judi is the President of the Crystal Healing Foundation, Inc., a non-profit dedicated to healing and ascension awareness. She is a featured columnist for OM Times Magazine since their beginning in 2009. Receiving names, life themes, colors, future options, health information, conversations and channeled messages from loved ones, she communicates directly with Spirit Guides to assist others in their personal connections for optimum healing. She also facilitates in-person and distant Healing Light Energy Meditation Sessions to help in healing physical, emotional and spiritual challenges. Spiritual empowerment and connection are the focus of her work. Featured guest and host on numerous radio programs in the U.S. and U.K. and listed in Bob Olson’s Best Psychic Directory. 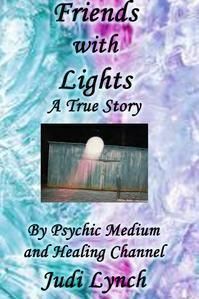 Her books “Friends with Lights” and “Conscious Ascension” are available online. Come and enjoy a presentation by Judi as she shares her unique knowledge about Spirituality & Ascension Awareness. Location: Unity Church on The Mountain at 1328 Governor’s Drive, SE Huntsville, AL. 35801. Friday, Sept 22nd at 6:30-9:00 pm. Public Admission at the door is $10. For more information, Contact LaMont Hamilton at WorldPsyhic@email.com or visit www.meetup.com/Huntsville-Paranormal-Study-Center.